For years I never gave the Old Covenant Mosaic Law much thought. In my thinking, it was an old, outdated Judaic system of 613 laws that no one follows anymore. After all, no one could follow 613 rules and regulations daily and some of these laws were just impossible to do, like animal sacrifices. Of course, as believers, we still had the 10 commandments and some of the Old Covenant laws that were “do-able”. Still, I didn’t think I (or anyone I knew was extremely “legalistic” in regards to the Law. Then I heard a teaching on Old Covenant (law) and New Covenant (grace) thinking. Old Covenant thinking was “do in order to be blessed” and New Covenant thinking was “we are blessed because it was already done.” While I definitely believed that we were already blessed because of what Jesus had done, I had to admit that a lot of my thinking was also “do in order to be blessed.” I believed the blessing was ours through Jesus but in order for those blessings to be mine, I had to “do” something. And if I did things “wrong” it would interfere with my blessing or take me out from under His protective covering…….leaving me open to demonic attacks (like Job). When things would go wrong, I was wracking my brain trying to figure out where I had missed it or which “door” I had left open through something I did or didn’t do. If things were going well, I must be living an obedient life — doing ALL God has said to do and pleasing Him. I was definitely living a life of mixed grace and law. For instance… one of the first Scriptures I got revelation on was Psalm 51:9-11: “Hide thy face from my sins, and blot out all mine iniquities (10) Create in me a clean heart, O God; and renew a right spirit within me, (11) Cast me not away from thy presence; and take not thy Holy Spirit from me.” While David was perfectly fine praying this prayer under the Old Covenant before Christ came, for me to pray it was an absence of faith….rooted in ignorance of the finished work of the Cross While it sounds beautiful and appears “humble,” it’s full of doubt and unbelief. God doesn’t hide His face from my sins — Jesus totally removed them and the Father doesn’t remember them or hold them against me any longer. 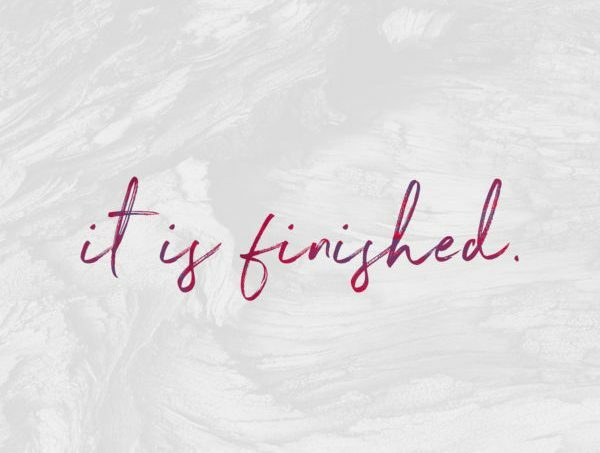 I don’t have to ask Him to blot out (or wipe away; abolish) my sins — He’s already done that. He has ALREADY given me a clean and pure heart and He most definitely has ALREADY renewed a right spirit within me! And ABSOLUTELY He wouldn’t take Holy Spirit from me because we are ONE now. The next Scripture I got revelation on was Matthew 6:14-15: “For if you forgive men their trespasses, your Heavenly Father will also forgive you. (15) But if you do not forgive men their trespasses, neither will your Father forgive yours.” Jesus was talking to people STILL UNDER the Old Covenant Law. So, how did the Cross change that? Ephesians 4:32: And be kind to one another, tender-hearted, forgiving each other, as also in Christ God forgave you. And Colossians 3:13: Bear with each other and forgive any complaint you may have against one another. Forgive as the Lord forgave you. We forgive BECAUSE He first forgave us. Old Covenant was “forgive SO THAT God can forgive you.” New Covenant is “His forgiveness is your empowerment to forgive.” Big difference. Those 2 Scriptures began a new way of thinking and a beautiful journey of freedom for me. And the next Scripture the Holy Spirit began to change my thinking on was Matthew 22:37-40: Jesus said unto him, Thou shalt love the Lord thy God with all thy heart, and with all thy soul, and with all thy mind. (38) This is the first and great commandment. (39) And the second is like, unto it, Thou shalt love thy neighbor as thyself. (40) On these two commandments hang all the law and the prophets. Verse 36 says that one of the Pharisees had asked Jesus what the greatest commandment IN THE LAW! This commandment was an Old Covenant Law commandment. We don’t love God with all of our strength nor do we love our neighbor like we love ourselves. Rather, 1 John 4:19 says We love because He first loved us and John 15:12 says This is My commandment, that you love one another as I loved you. We don’t have to rely on our strength or self-efforts to love God or others. He poured His love into our hearts by the Holy Spirit…. we are able to love God and others because He loved us and that same agape love is in us to release. Over the last couple of years, I realized that people struggle with this area of their Christian walk. They really love God and desire to “serve” Him better. The way they think they can do that is by making the Old Covenant law their standard for living. They live in a mindset of reward and punishment based on their behavior. Thinking that if they can just line up their behavior with what they believe God wants, that He will be happy and they will be accepted and “good” sons. The thing is, our Father already sees us as “good” sons. We can make Him any happier than He already is with us. Jesus set us free from an Old Covenant mindset of blessing and cursing… reward and punishment. He never intended it to be our standard of holiness… He made us holy by giving us His holiness. He took our sin and gave us His righteousness, His holiness…. His very own nature became our new nature. We are now IN CHRIST and wholly, completely, wonderfully accepted in the Beloved…. not someday, but now…. just as we are! We are full of His glory, we have His mind, and we are one in union with Him. We have the FULLNESS of the Spirit WITHOUT MEASURE! Today as you read the Word and you come across Old Covenant or Gospel Scriptures, ask Holy Spirit to show you Jesus in them…. ask Him to show you the finished work of the Cross in Scriptures. He will and your mindset will change causing you to walk in a greater freedom than you have ever known. It will change how you see God, yourself and others….. you will suddenly be free to walk in a love you have never known. We don’t receive a blessing from God because of what we do…. John 1:16 says For from His fullness we have all received, grace upon grace. The amplified version says For out of His fullness (abundance) we have all received [all had a share and we were all supplied with] one grace after another and spiritual blessing upon spiritual blessing and even favor upon favor and gift [heaped] upon gift. We receive from His fullness…. out of His abundance, grace, spiritual blessings, favor and gifts in ABUNDANCE.